We've collected all of your favourite solitaire games in a single, beautiful set. Download now and be enjoying the game in a matter of minutes. Use this table to help you choose the right version. Free or Paid - What's the difference? The free version is yours to play, free, nada, no cost for you. Great! It may contain limited features, and it may contain advertising, but... did we mention it is free? The paid version is the full-featured version that contains no 3rd party advertising. We have spent more than 10 years crafting a better collection of solitaire games based on feedback from all of our wonderful players. 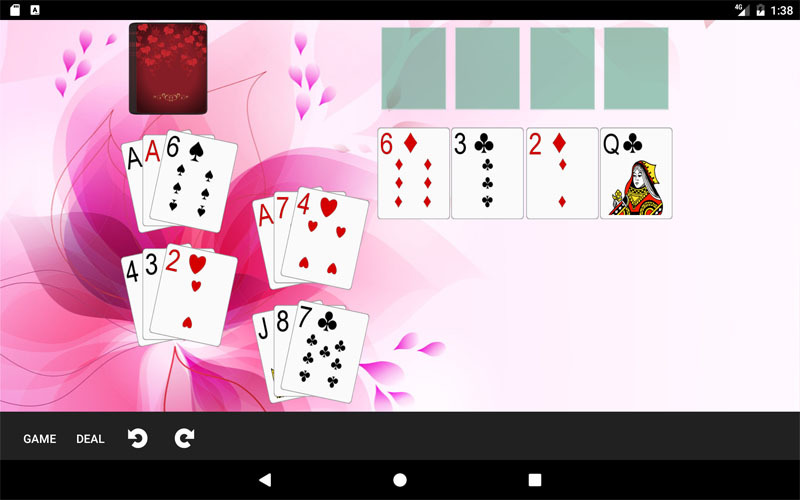 We've selected all the favourite Solitaire games in one pack, so you'll never be bored. Is your favourite here? Check out the list of games. 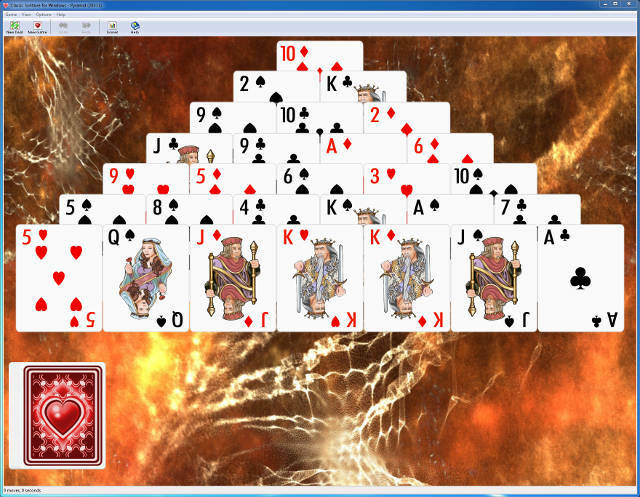 As well as all the favourites, Dogmelon Solitaire contains a heap of other games. Chances are, there are quite a few you've never played before. Some of these were suggested by our customers. Others were included because, well, they were just too fun to leave out. Big cards, so they're easy to move around. Even on small screens. Shaky hands? Don't see as well as you used to? No problem - we've made it easier to play. Pretty cards, pleasant backgrounds. Change them whenever you want. You like to change your look from time to time. 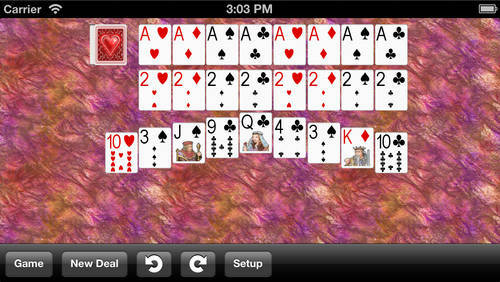 Solitaire is no different. There are so many different Solitaire Games you can try! We give you a comprehensive set of Game Rules, and examples, so it's easy to learn new games. Free Games - Did You Know? 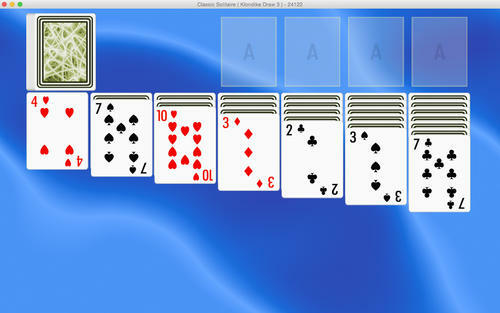 Some of our early OSX customers bought Dogmelon Solitaire when it only had 10 games. Now it has more than 50! We regularly add new games to Dogmelon Solitaire, and when we do, our customers get them for free. You can feel completely confident that you are getting value for money - it's a sure thing.